Home » Niagara Homes – Lobsterfest! OK, so I guess you can be forgiven for thinking that food and drink feature highly on my list of interests. You would be correct! Having said that, living in the Niagara region makes it difficult NOT to be interested in these things with such a large selection to choose from. Anyway, Friday was a very hot, sunny day and I was wondering what things might be going on this weekend. The local paper had a few different things listed, such as fruit farm specials, winery tasting events, food trucks at the Supper Market, tribute bands at various locations, etc. Luckily, I have a wife with a VERY good (not to mention long) memory who announced that it was about this time last year the Lobsterfest was on and she was upset we missed it. 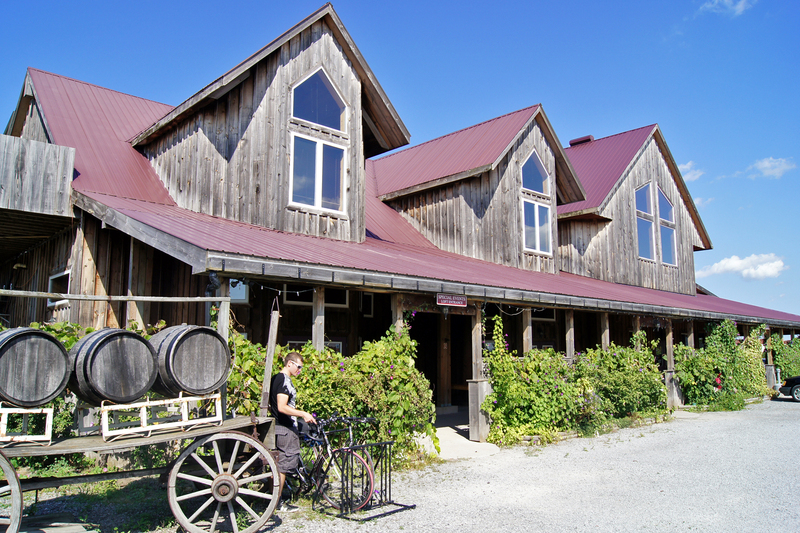 No mention of it in the local paper so she went on line to Caroline Cellars – a local winery where the event is held – and sure enough there it was! Lobsterfest this weekend! Although the name is pretty self- explanatory, I will give you the rundown on this great event. Caroline Cellars is a really nice local winery that produces a good selection of wines and like many of the wineries, they wanted to promote themselves and bring in as many potential customers as they could. A few years ago they decided to sell tickets and hold a barbecue, bring in a band to provide live music and have a BIG party. Instead of the usual burgers and hotdogs, they decided to cook steak and lobster and so Lobsterfest was born! We turned up on Saturday evening with four friends and joined the long line-up. It seems that in spite of not advertising in the paper, hundreds of people still found out and they were all here. It was such a great evening. Actually, in addition to the 1 ½ pound lobster and 12 oz ribeye steak, there were also scallops wrapped in bacon, new potatoes, salads and corn on the cob. There was a choice of around 8 wines (all Caroline Cellars of course) and beers, then the live music which was great. All for around$30.00 including a couple of drinks each. We will definitely be doing it again next year. Sunday was a day of sorting out things around the house. I have been laying new ceramic tiles in my entrance hall and the task of grouting was allocated to my wife. Also, some gardening needed to be done before the rain – all 2mm of it – arrived in the evening. Being Sunday, I also had to fit in an Open House at a small farm for a couple of hours. After the domestic jobs were taken care of, we decided to take our dog out for his evening walk. We went to Queenston Heights which is a great park about a 5 minute drive from home. 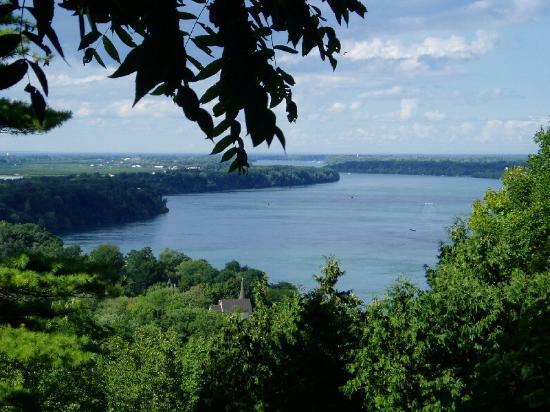 It is a beautiful park with stunning views of the Niagara River. 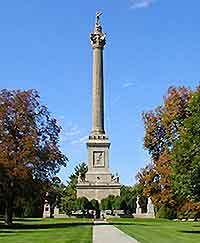 There is also the Brock Monument here as this was the site of the historic Battle of Queenston Heights during the war of 1812. The park gets very busy in the summer with parties of people setting up picnics and bringing barbecues. Also walkers following this part of the Niagara Escarpment which starts (or ends) at this point. All in all, another great weekend came to an end and now it is back to work! You too could enjoy weekends like these if you are considering the move to the Niagara on the Lake area. For advice on real estate or simply to view some homes to get a feel of the area, just get in touch with me, Kevin Stokes, at Niagara Homes and I will help you make it happen. This entry was posted in Blog, Uncategorized on August 26, 2013 by wp_admin.